Who Said Church is Dying? 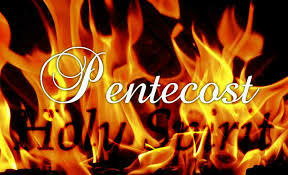 This past Sunday was Pentecost Sunday. For those from non-liturgical traditions, Pentecost Sunday is the day we acknowledge the coming of the Holy Spirit on the first disciples 50 days after Jesus resurrection. Luke records events in Acts 2 that occurred that day. Let’s call it the birthday of the Church, and it was one of the most awesome displays of God’s power recorded in the Bible. Unfortunately, in many circles today the Holy Spirit is either neglected, forgotten, or misunderstood. The Holy Spirit was given to unite the body of Christ, but the Spirit has become the center of controversy. Sometimes I wonder if we lack unity because we’ve quenched the power of the Holy Spirit in our churches, and in our personal lives. I wonder if we could actually have worship without a bulletin on Sunday morning. Dr. A. W. Tozer, author and pastor, said, “If the Holy Spirit was withdrawn from the church today, 95 percent of what we do would go on and no one would know the difference. If the Holy Spirit had been withdrawn from the New Testament church, 95 percent of what they did would stop, and everybody would know the difference.” He said that prior to 1963. I wonder what he would say in 2015? John Wesley had an experience with God’s power, and it too, changed the world. It was Wesley’s Methodist movement that is credited with reforming England in the 18th and 19th centuries. Historians have suggested that England didn’t go the way of France in the 18th century because of John Wesley. It was Wesley’s Methodist movement that swept across North America when, by the beginning of the 20th century, it was the largest Protestant denomination in America. One in five Americans called themselves Methodist. Today, 80 million people worldwide find their religious roots in Wesley’s Methodism. That’s what happens when the power of God explodes on His people. The same power that was present on that first Pentecost is the same power that was present with John Wesley on Aldersgate Street in London, and it’s the same power that’s available to you and me today, and it’s the same power that fuels the church. Africa’s Christian population stands at 500 million today. Roughly one in four Africans are Christian. Christianity in Asia grew at twice the rate of the population on the continent. In the next ten years, it’s projected that 110 million more people will convert to Christianity on the Asian continent. Demographers estimate that more Christian believers are found worshipping in China on any given Sunday than in the United States. As United Methodist, I’m particularly encouraged by what’s taking place in Africa. Today, there are nearly 5 million African Methodists, with an average of 220,000 more being added each year. Within ten years there will be more African United Methodists than in the United States. The Philippines is also seeing an explosion of Methodism. There, nearly one million people are being reached through the 24 Annual Conferences of the United Methodist Church. There are other statistics I could point to that affirm the fact that Pentecost is still happening. People are being touched by the power of the Holy Spirit, and their lives are being changed. Though we lament the direction of the church in America (which says a whole lot more about us than it does the power of the Holy Spirit), it is a bit like Mark Twain said, “The report of my death was an exaggeration.” No, the church is not dead. It’s not even dying. It’s more alive today than ever before. If we would be the Church, and see the power of God revealed then we must, once again, open ourselves to the mind-blowing, life-changing, and as John Wesley wrote, the heart-warming Holy Spirit. Let the fire fall, O God! Let the fire fall! A local colleague writes a blog, Out Here Hope Remains, that I enjoy reading from time to time. His is particularly poignant today, so I thought I would share it with you. Hmmm? I hope he doesn’t mind. If anyone is grieving over the loss of a loved one, this blog will be particularly meaningful. I pray you find it helpful. John Dobbs is the pastor of Forsythe Avenue Church of Christ. Access his blog post today by Clicking here. Thank you, John Dobbs, for sharing your heart.